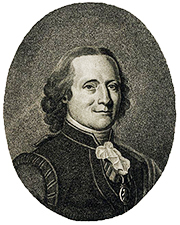 The Swedish botanist Carl Peter Thunberg, born in 1743 and one of Carl Linneaus' pupils in Uppsala, was the first scientist to collect and describe plants in Japan using the Linnaean approach. His book, Flora Japonica (1784), was the first flora of Japanese plants. The main part of Thunberg's herbarium is held by the Museum of Evolution at Uppsala University, Sweden. Images of all Japanese plants in this herbarium are made available on this website, along with accessory information.